What’s the difference between CBD from Hemp Oil vs. CBD from Medical Marijuana? Since they are both versions of the Cannabis Sativa L. plant, hemp and marijuana are brimming with similarities. 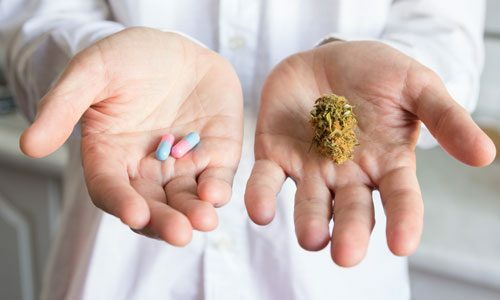 Though they share similar characteristics, there are still a number of differences to separate the two for prospective medical marijuana patients. CBD oil is used for a variety of medicinal purposes. 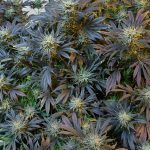 It can be used to treat cancer, seizures, anxiety disorders, depression, inflammatory disorders, neurodegenerative disorders and even epilepsy. Though Cannabidiol (CBD) is the same compound regardless of its origin, the CBD oil from hemp is different than the CBD oil from marijuana. The term hemp is used when referring to industrial cannabis stalks used for producing food, textiles, paper and a number of other products. Marijuana, on the other hand, is the term used for the flowers and buds used for recreational and medicinal purposes. Cannabis has buds while hemp does not; in these buds are components that contain THC. This is one particular difference between the two; industrial hemp is not cultivated to produce buds, therefore it lacks the necessary qualities to form THC. Furthermore, although hemp and marijuana derive from the Cannabis Sativa L. plant, products obtained from these plants affect the human body differently. THC is the cannabis compound that makes you high, and its percentage within the two plants also differs. Hemp contains 1.5% THC, while marijuana can contain 10% or more. Both contain high concentrations of CBD, but hemp is bred to contain low amounts of THC which makes it low enough to not be psychoactive. This makes hemp a legal and more viable alternative for medical marijuana. Another difference is the length of time it takes the respective plants to grow. Hemp grows much quicker than marijuana, thus providing a more environmentally sustainable and conscious product. Additionally, products made from hemp oil have the potential to be purer and cleaner than medical marijuana products, to do little regulation in many medical marijuana markets. CBD hemp oil products are legal in all of the U.S. unlike medical marijuana, and for many, it helps fill a medical role for those who are unable to access it in their state. With medicinal cannabis becoming legal in an ever-increasing number of U.S. states and other countries, and with use of cannabis-based preparations booming, many people are learning about the diverse uses of cannabis medicine. This article looks at five of the top medical uses of cannabis. Nausea and vomiting is a common side-effect of chemotherapy treatment, and cannabis has been shown to be effective in treating it. This use of cannabis has allowed people who were already very weak and frail to allow their bodies an opportunity to recover. Even for nausea not caused by chemotherapy, many people have found that cannabis takes away much of the unpleasantness and queasiness and even allows them to eat more than they otherwise could. This has meant that medicinal cannabis has found widespread use among those who suffer from certain stomach upsets, such as travel sickness, ulcers and acid reflux. Evidence suggests that cannabis has been effective in relieving the pain caused by neuropathy, fibromyalgia, multiple sclerosis and rheumatoid arthritis. It also seems that cannabis is safer than the opioids that are currently prescribed regularly to treat these conditions. Cannabis is sometimes used by people suffering from cancer, for which it has been useful for relieving the intractable pain associated with it. Cannabis is gaining a place in many end-of-life schedules as it seems to ease much of the physical suffering caused not only by cancer but by general aging. The soothing effect of cannabis is not limited to physical ailments. Many people use cannabis to alleviate psychological suffering. Post Traumatic Stress Disorder is one ailment that cannabis has shown encouraging success in the treatment of, and depression and anxiety are two others. This is likely because cannabis has a calming effect on the minds of people so afflicted, and allows them to find peace when it was otherwise lost. Cannabis has also shown promise in helping people find insight into their personal problems. Some strains of cannabis promote a creative introspection that can help people realize things that were previously unknown to them. Because it is possible to take cannabis when one is alone and undisturbed, it can be used to meditate or reflect on problems with a fresh perspective. The sleeplessness that often comes with nightly worry and anxiety can be treated with cannabis. It is also useful for treating insomnia that comes from the mental disquiet associated with many psychological ailments. Because the legalization of medicinal cannabis has led to advancements in understanding the chemistry of the plant, it is now possible to isolate the active ingredients in cannabis that work to combat insomnia, and separate these from the elements that energize the mind and get it buzzing. Insomnia is sometimes caused by chronic pain or chronic fatigue. Like anxiety, cannabis can be effective in getting a person to sleep despite these problems. Cannabis users often report that they sleep more deeply and wake up feeling more refreshed than if they had gone to bed without cannabis. Preparations in the form of edible cannabis have been found particularly useful in relaxing the entire body before falling to sleep. Several U.S. states now have laws making provision to prescribe cannabis for the treatment of epilepsy. It has been known for decades that cannabis had potential to treat epilepsy, with many patients experiencing a reduction in seizures. Although much of the evidence in favor of using cannabis to treat epilepsy is anecdotal, further liberalization of the cannabis laws ought to encourage further scientific research. A family from New Zealand went as far as to relocate to Colorado just to have access to cannabis-based medicine for their epileptic daughter. According to the family, both the number and severity of seizures has decreased greatly, which has vastly improved the daughter’s quality of life. Cannabis has been used within world cultures since ancient times. Originally native to regions in Asia including China and India, marijuana ranges in use from pottery to medicine. Although it is not known what culture is responsible for first using hemp for supplies or for its therapeutic effects, archeologists know of the plant’s use in Asian cultures as early as the Stone Age. Historical records indicate that sporadic laws regulating the use of marijuana as a mind-altering drug began surfacing during the Middle Ages; however, it was not until the 1900s that the global battle against all forms of marijuana in the United States took flight. In 1972, a Taiwanese village dating back to ten thousand years ago was discovered, although the village and its inhabitants still remain unnamed. Archaeologists at the site uncovered pottery fortified with hemp, a soft yet extremely strong fiber cultivated from the cannabis plant. The discovery of the hemp-fortified pottery marks the earliest known use of marijuana, dating its importance to civilizations to as early as the Stone Age. The cultural use of marijuana is not limited to the usefulness of hemp. In 1976, the corpse of Ramses II, known primarily as Ramses the Great, was transferred to Paris for anthropological studies. Considered to be the “Great Ancestor,” Ramses II is Egypt’s most powerful and most acclaimed pharaoh. Following the arrival of his remains in Paris, forensic toxicologist Dr. Svelta Balabanova discovered the presence of cannabis in the intestinal tissue of Ramses II, indicating the presence and ingestion of cannabis in Egyptian ancient culture, although there is no early documentation about its use or purpose in Egyptian culture. While the plant can be used for supplies such as rope or cord as is indicated in the excavations in Taiwan, it has been praised as a medicinal plant for thousands of years. China remains the earliest known culture to explore the medical value of marijuana. China’s first documented use of medical marijuana dates back to 2800 BC, in which the plant was described as having therapeutic qualities and considered a fundamental treatment option for a variety of nervous disorders, including depression and anxiety. While early civilizations in China relied on the therapeutic qualities of the plant, the Western world valued the usefulness of the plant. Early colonists at Jamestown were encouraged to cultivate marijuana; however, by 1619, the colonists were no longer being encouraged to plant hemp seed but were instead required to grow cannabis for supplies and trade with Native Americans. By 1850, there were over 8,300 marijuana plantations spread across the United States. It was not until the 1900s that the United States began implemented laws to restrict and control the production and possession of marijuana. Marijuana laws and use in the U.S. has changed drastically over the past century. Prior to the start of the United States’ war on drugs in 1906, marijuana was an important part of medicine in the Western world. Medical journals dating from the early 17th century indicate that physicians praised the medicinal use of marijuana for a variety of ailments, including chronic pain, nausea, and psychiatric disorders. The Pure Food and Drug Act of 1906 did not make the use of marijuana illegal, however the law required that any medicine or food containing cannabis be labeled as such. It was not until the 1930s that concern over the plant as being a mind-altering, addictive drug emerged as films such as Reefer Madness circulated across the United States, instilling fear in both consumers and critics with its portrayal of the effects of marijuana on society’s youth. One year following the release of Reefer Madness, U.S. Congress passed the Marijuana Tax Act of 1937, ultimately outlawing the possession and use of marijuana with the exception of authorized users who were willing to pay an excise tax. Nearly sixty years later, in 1996, California became the first state to reauthorize the medical use of marijuana for certain diseases, such as AIDS and cancer. Since 1996, many additional states and Washington D.C. have passed similar laws allowing for the use of medical marijuana, while legislation is pending in other states. Laws regulating the use and possession of marijuana vary across the world. Marijuana is currently legal without a prescription in Bangladesh, the Czech Republic (under five plants), Portugal (under 2.5 grams), Spain (in the privacy of your own home), and Uruguay. Turkey maintains strict control over the farming of cannabis for hemp seeds used in food spices, however the possession and use of marijuana is highly illegal. While marijuana is considered illegal in the majority of the world, it has been decriminalized or is tolerated in several countries, including Belgium, Canada, Costa Rica, Denmark, Germany, India, Italy, Mexico, Nepal, and the Netherlands. Used throughout history for therapeutic value and the ultimate sense of well-being that results from its use, marijuana is beginning to resurface as an integral part of modern day medicine. The use of cannabis is not limited to medicinal purposes, but, as illustrated throughout culture, it has the potential to be used in international trade in products ranging from rope to spices. The global war on drugs is shifting from the heavy prohibition of cannabis and its derivatives to a more lax and welcoming reception of the drug. 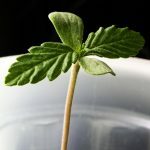 While marijuana remains highly illegal on a worldwide level, governments are once again beginning to consider the positive effects that conditional legalization could bring. 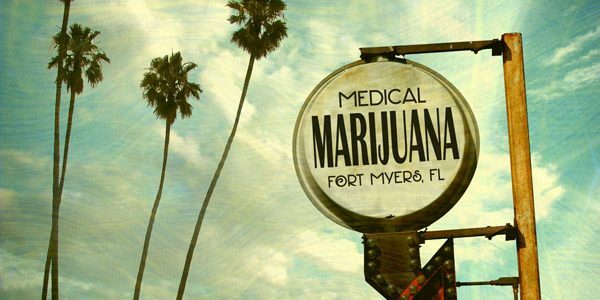 Recently, Dr. Greg Sonn, one for Fort Myers Medical Marijuana Doctors, was mentioned in The News Press article “Clinics catering to medical marijuana growing in Southwest Florida” which can be read in full here. Dr. Sonn opened the Iona Cannabis Clinic recently to help patients who suffer from the qualifying conditions covered by Florida’s recently approved amendment to allow Medical Marijuana use as a form of treatment. Being one of the few approved Fort Myers Medical Marijuana doctors allows Dr. Sonn to add another potential health solution to his mix of other Palliative health services.